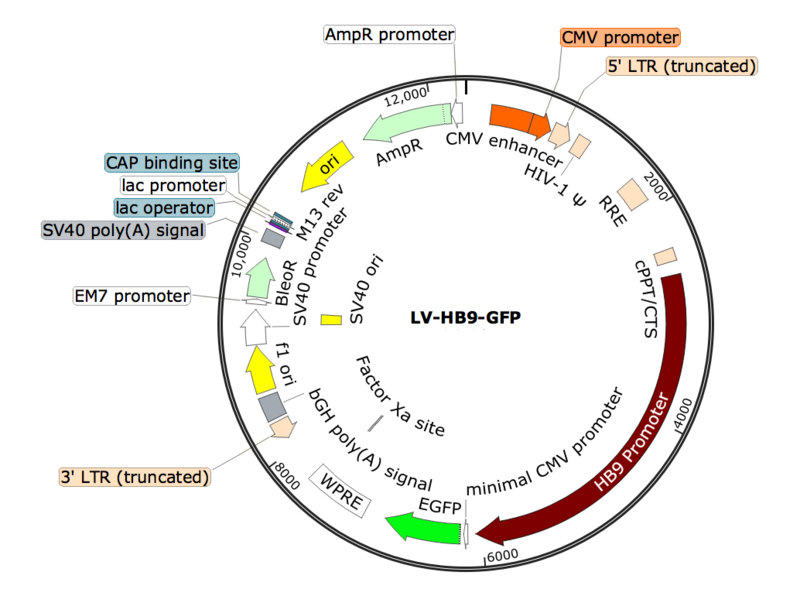 Description: LV-HB9-GFP is pre-made lentivirus which expresses GFP under the mouse HB9 promoter. HB9 promoter is motor neuron specific promoter and will direct GFP expression exclusively in motor neurons. Ready to use format.